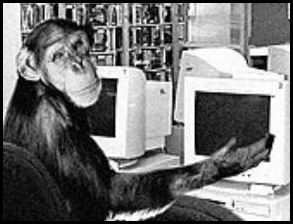 I was just informed that the comments feature here at the Ultraist Journal have been broken for some time now… The systems monkey has looked into it, and tells me it should once again be fully operational. FAN EXPO 2007: Starting Now. The following excerpt is from Dave Sim’s Note From The President, Cerebus 183, June 1994. No one (or very few people) were in on Bone at the beginning. Andromeda was, the Silver Snail, a handful of others. Now, of course, virtually every distribution outlet and retail store is doing very well with Jeff’s book. For the aggressive ones, this tells them that there’s a great deal to recommend looking for, supporting, and making the ‘next Bone’ happen. For the passive ones, they can afford to sit and wait until it is happening and then jump on the bandwagon (usually wearing an ‘I was Here First’ t-shirt). The same Andromeda that supported Bone from the beginning didn’t carry Cerebus until around issue nine. Harry Kremer who was the only Canadian retailer to buy the first issue (bless ‘im) was told by Ron ‘let me know when he goes to colour.’ To say I was determined to force Andromeda to carry Cerebus would be an understatement. My molars ached. I stayed in the game, I put the books out on schedule and made it impossible for Andromeda to not carry Cerebus. If one or both large distributors won’t carry your book or if you get pitifully small orders from them, the ball is in your court. You have to put together a network of stores, subscriptions and individual sales and put your nose to the grindstone for months or even years until you can prove them wrong. If you can’t sell enough copies with a colour cover on newsprint, then you go to mini-comic format and build interest and attention there by putting the book out regularly and getting better. Remember there are a lot of ballplayers who are drafted pretty high and still spend years in the minors before they’re ‘called up’. The ones who don’t want it badly enough quit. The ones who want it badly enough play their hearts out game after game for months or even years on end. Get the entire Kitchen Bros. collection in one pop! Now available for $10.00 CAN. 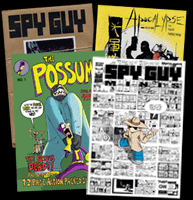 Contained in this collection is SPY GUY: Bootleg, SPY GUY: Minis, Apocalypse: The Four Hoursemen / Knight Hawk (flipbook) and The POSSUM. 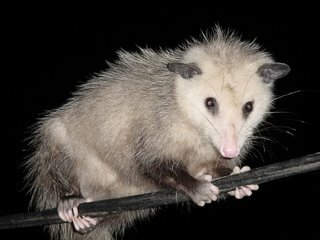 All proceeds from The POSSUM go directly to Blair Kitchen and Possum Press. 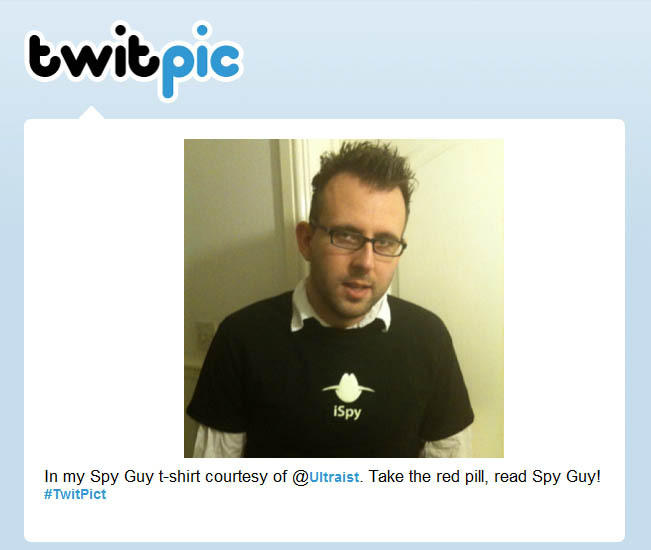 For more information or individual issues, check out the Ultraist Studios store. The 12th Annual Fan Expo is happening September 1-3/06 at the Metro Toronto Convention Center South Building, located at 222 Bremner Boulevard, Toronto Ontario. Look for us in the Artist Alley! Suddenly comics just got a whole lot more interesting.